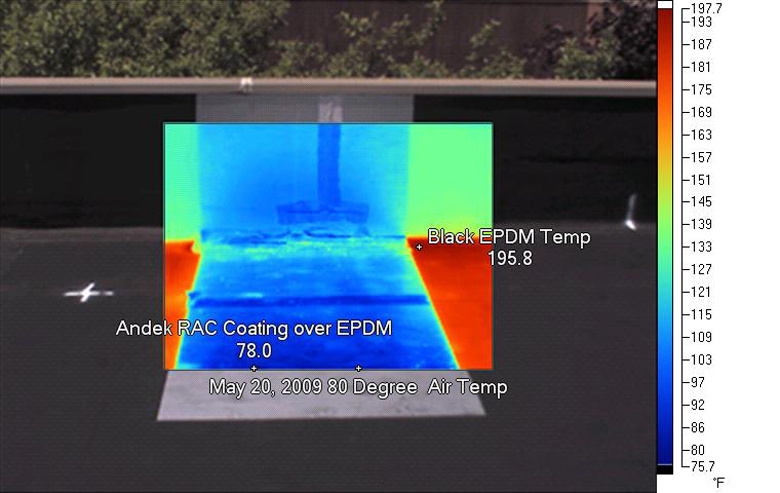 These photographs and thermal images show the significant differences between regular EPDM roofing that has been coated with Polaroof RAC and surface that is uncoated. 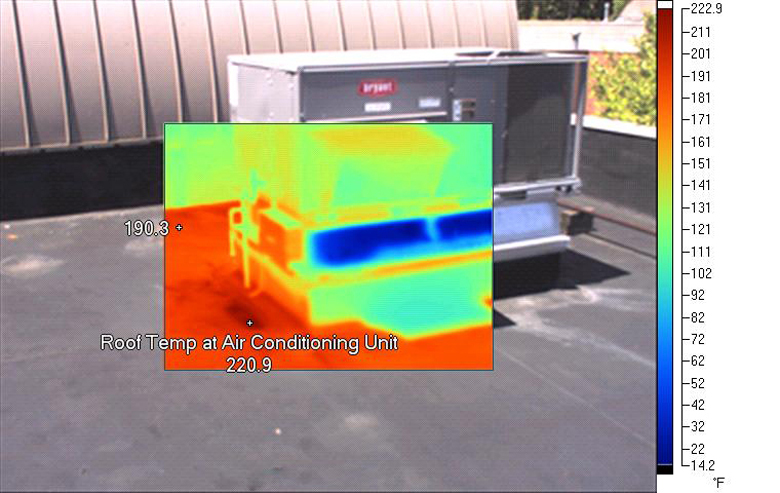 The dramatic differences show the ability of Polaroof RAC to reflect heat off of the roof. 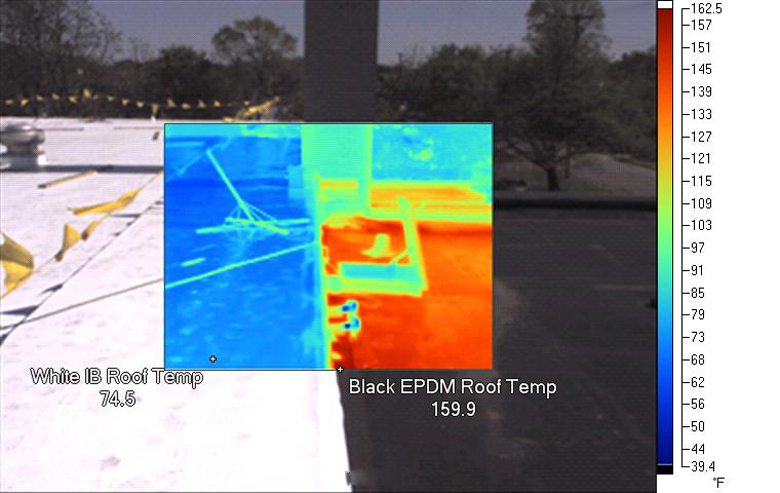 Another interesting observation was the temperature difference between uncoated EPDM roof and an area that had been coated with a white product, one can draw ones own conclusion. The base of the roof at this time has not been coated with Polaroof RAC. The temperature at the base of this air conditioning unit (220.9° F) was greater than the boiling point of water (212° F). 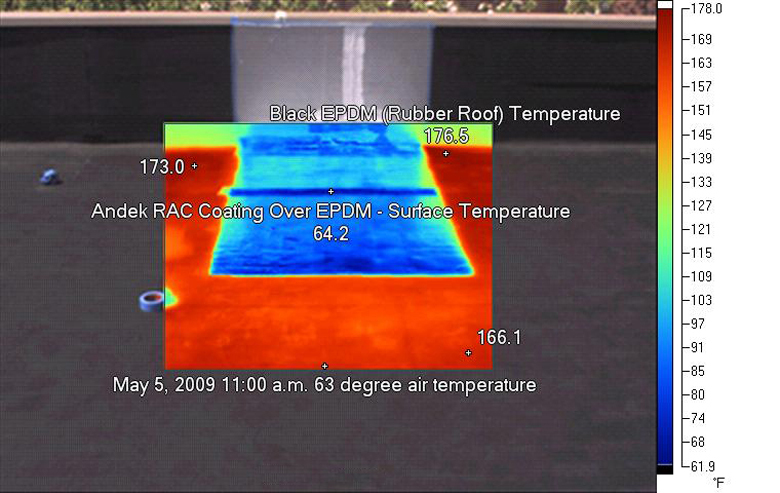 A significant difference between the Polaroof RAC coated EPDM and the uncoated area, over 100°F! Interestingly enough, the surface temperature of the Polaroof RAC is 2° F lower than the air temperature. 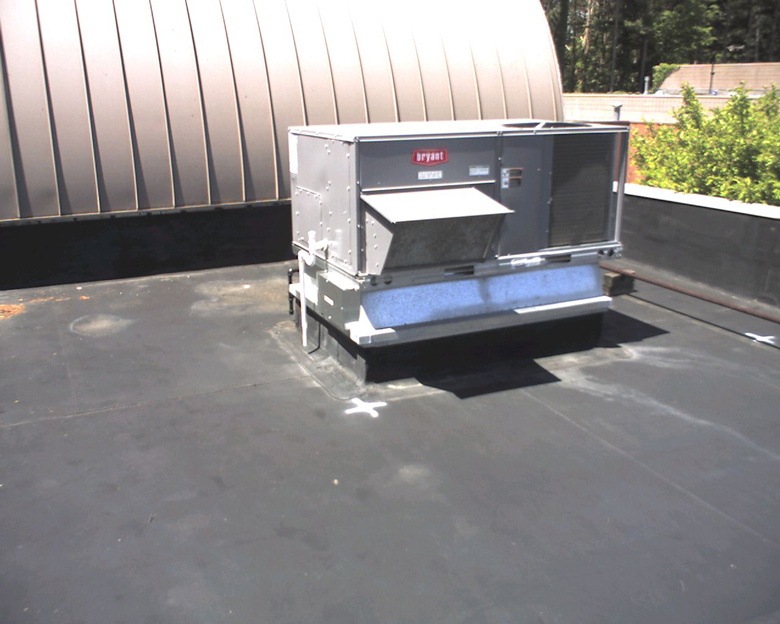 The dirty white surface showed less contrast to the black EPDM than with the Polaroof RAC. 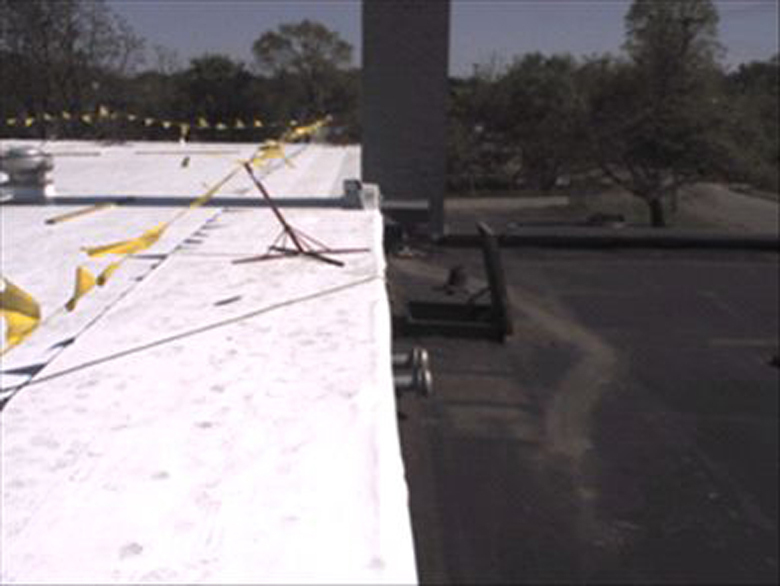 Only 115% as opposed to 151% reduction with the Polaroof RAC coated EPDM.